Prints are available in a variety of sizes and papers from Bay Photo, a professional lab located in Santa Cruz, California. Bay Photo has been catering to top pros since 1976. Bay Photo is available for prints and canvas. A true pro lab, Bay Photo hand color corrects each print. Their experts will fuss over each order, ensuring superb color and consistency from print to print. All prints are carefully flat-packed — damage during shipment is almost unheard of. Bay Photo carries more sizes and papers, including panoramic sizes and Giclée watercolor prints. To order, simply click on the "Buy" tab on the lower right of each image. The available sizes, paper choices, and prices will appear for each photo. Follow instructions to checkout and Bay Photo will ship your order within 10-14 days. If you desire any print size not available, please contact me directly. I print on a professional Epson R2400 up to 13 x 19 for normal prints and 13 x 44 for panoramas using Epson's UltraChrome K3 pigment inks. I use Epson Ultra Premum Luster photo paper and this combination of paper and inks are supposed to last over 100 yrs. Also please contact me if you want commercial use of any image. You can now also order your prints with custom mats and frames. I offer my prints in all standard frame sizes, but these typically require cropping of the original image. I also offer prints in uncropped formats and, depending on the original image size, frames may or may not be available. To see available frames and mats, click on Photo Extras while in Checkout. Below is a table with some of the standard frame sizes. 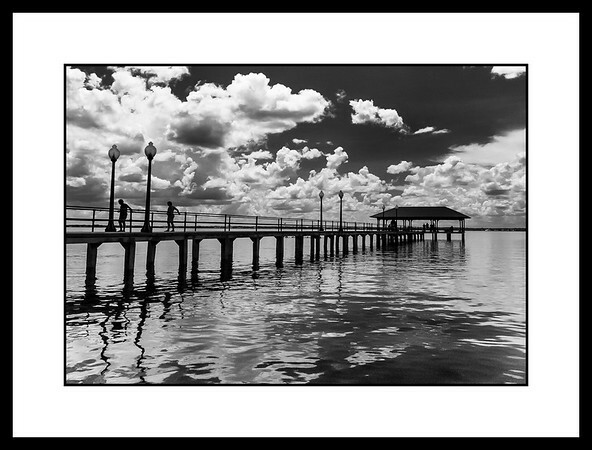 24" x 36" 19.5" x 29.5" 20" x 30"
Many other image sizes are available. If a mat and frame is not available, please contact me for a quote on custom framing. You can buy digital downloads of my images for personal or commercial use. You can purchase downloads of a single image or all images within a gallery, at a 25% savings. You can purchase 3 sizes of photo downloads - Web Size, 1 Megapixel, and 4 Megapixel photo downloads. 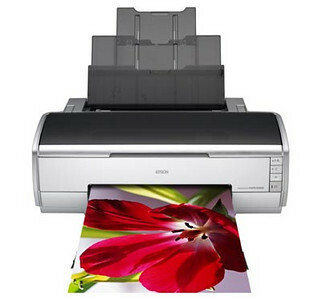 A 1 Megapixel image is roughly big enough to print an 8x12. At 4 Megapixels, the image is big enough for a 30x40 print. After checking out, customers can retrieve their downloads by clicking the links we send them. If they bought at least four photos, they can retrieve them in bulk. We'll wrap their purchases into a zip file and send them an email when it's ready. Please note that I preserve IPTC, EXIF, and other metadata in the JPEGs that are sold. Should the image be posted online or used inappropriately somewhere else, I can track it. 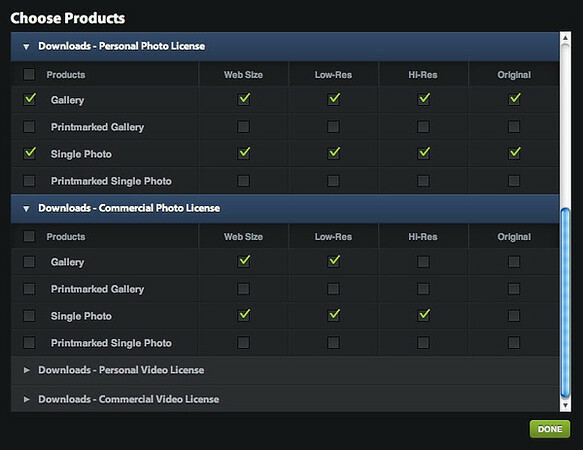 A Personal License grants buyer a non-exclusive perpetual personal-use license to download and copy the accompanying image(s) subject to the following restrictions: This license is for personal use only. Personal use means non-commercial use of the image(s) for display on personal websites and computers, or making image prints for personal use. The Image(s) may not be used in any way whatsoever in which you charge money, collect fees, or receive any form of remuneration. The Image(s) may not be used in advertising. The Image(s) may not be resold, relicensed, or sub-licensed. Title and ownership, and all rights now and in the future, of and for the Image(s) remain exclusively with the Content Provider. Neither Content Provider nor SmugMug will be liable for any third party claims or incidental, consequential or other damages arising out of this license or buyer's use of the Media. A Commercial License grants you a perpetual, non-exclusive, non-transferable, worldwide license to use the accompanying image(s) for permitted commercial purposes, defined as: advertising, promotion, brochures, packaging as part of a commercial website for promotional purposes (maximum 800x600 pixels) use, prints, posters, flyers, tearsheets for promotional purposes (not for resale), prints, posters, or other commercial display of Image(s), magazines, books, newspapers, other printed publications, video, broadcast, theatrical use. What you may not do: Buyer may not resell, relicense, redistribute without express written permission from Content Provider. Use as a derivative work, and reselling or redistributing such derivative work is prohibited. Images may not be used in a pornographic, obscene, illegal, immoral, libelous or defamatory manner. Image(s) may not be incorporated into trademarks, logos, or service marks. Image(s) may not be made available for download. Content Provider retains all rights, license, copyright, title and ownership of the Image(s). There is no warranty, express or implied, with the purchase of this digital image. Neither Content Provider nor SmugMug will be liable for any claims, or incidental, consequential or other damages arising out of this license or buyer\'s use of the Image(s).